Since 1981, the Florida Association of Community Health Centers, Inc. (FACHC) has been the leading state advocate for community-based health care programs. Focusing on Florida's Federally Qualified Community Health Centers, the Association plays a vital role in educating federal, state and local policymakers about issues relating to health care and the role of the health centers. To increase access to quality health care and improve the overall health of the community. True Health is a private, non-profit health organization dedicated to providing high quality, comprehensive primary health care at a reasonable cost to everyone. We are recognized as a patient-centered medical home with full accreditation by AAAHC, and our forty-one years of serving the people of Central Florida attests to our pledge of compassionate healthcare and excellent service. We hope you will make True Health your employer of choice. As a healthcare provider, we are constantly looking for devoted and compassionate professionals to join our team at True Health. Experience the benefits of working with True Health! Please visit our company website at www.mytruehealth.org and click on the career center to obtain further information and qualification requirements. Sulzbacher Health Center in Jacksonville Florida has a current opening for Chief Health Officer to serve as the head of our Health organization. The Chief Health Officer is responsible for the overall leadership of the organization’s Federally Qualified Health Centers and all other health service programs; this includes primary care clinics, dental clinics, behavioral health clinics, school-based health clinics street outreach programs, and other related services. For more information, please click here. Borinquen Medical Centers, FQHC, is searching for a CFO to assume responsibilities for the fiscal operations of the health center. The CFO reports directly to the CEO, prepares monthly financial statements, coordinates business services, budget preparation, audit support, and other special management projects as assigned by the CEO. Minimum of 5 years of FQHC CFO experience required. Rural Health Care, Inc. d/b/a Azalea Health (AH) is a private, non-profit community and migrant health center established in 1977. AH is also a federally qualified health center (FQHC) and serves areas designated as Health Professional Shortage Areas (HPSA) and/or Medically Underserved Areas or Populations (MUA/MUP). AH operates eleven (11) full-time medical sites and three (3) full-time dental sites in a six-county area (Alachua, Clay, Flagler, Putnam, St. Johns and Volusia) in North Florida. Our locations are all National Health Service Corps (NHSC) approved sites. We are recognized as a patient-centered medical home with full accreditation from AAAHC. As an organization, we are committed to providing accessible, affordable, high-quality health care to the communities we serve. We are seeking dedicated, experienced professionals, to join the Azalea Health family in our mission. Competitive salary and comprehensive benefits. EOE. The Jessie Trice Community Health System, Inc., is a Florida 501 (c) 3, not-for-profit, Federally Qualified Health Center, which has been serving Miami-Dade County since 1967. The target population is the uninsured, underinsured, 95% of which live at or below the Federal Poverty Level of 200%. Community Health Centers, (CHC) is a private, non-profit organization that provides health care services to insured, uninsured, under-insured, and under-served children and adults within Central Florida. We are a Federally Qualified Health Center (FQHC) organization that began its operations in 1972 in Apopka, Florida. We are seeking the very best to join our team. Central Florida Health Care's clinically effective, qualified health professionals are dedicated to serving all patients with dignity and respect. The highest quality of patient-centered, responsive and compassionate care is offered by our medical and dental team. CFHC’s accredited health centers are for children and families with a myriad of needs. Central Florida Health Care, Inc. is Joint Commission Accredited, PCMH Accredited and an FTCA Deemed Facility recognized by HRSA. Also, our sites are approved under the National Health Service Corp’s Repayment Program and may be available for qualified candidates. MCRHS is a private, not-for-profit, primary and specialty care network. MCRHS was established in 1979 by a group of visionary community leaders. Our purpose is to provide outstanding patient care based upon the principles of cooperation, compassion, and innovation. Today, MCRHS is the largest Community Health Care Center in the Southeast region of the United States. Premier Community HealthCare Group a not-for-profit, is a Federally Qualified Health Center serving Pasco and Hernando County. We are committed to providing comprehensive primary health care services, including primary care, women services, behavioral health, and dental services. In 2013, Premier Community HealthCare Group received “Patient-Centered Medical Home - Level Three”. Become part of a dynamic team that is committed to improving the health of the communities we serve. We offer an excellent benefits package that includes, Medical, Dental, Vision, Short Term Disability, Long Term Disability, Life Insurance, Paid Time Off, 9 Paid Holidays, Retirement Plan and continuing education credits (CME). Malpractice coverage is provided under the Federal Tort Claims Act for our providers. Premier Community HealthCare Group is also an approved loan repayment site in the National Health Service Corp’s Loan Repayment Program. (Qualified candidates may be eligible for this program). FoundCare, Inc. is a non-profit organization that operates a Federally Qualified Health Center (FQHC). We offer affordable, high-quality pediatrics, family medicine, chronic disease management, pediatric and adult dentistry, laboratory work, x-rays, and pharmacy services. 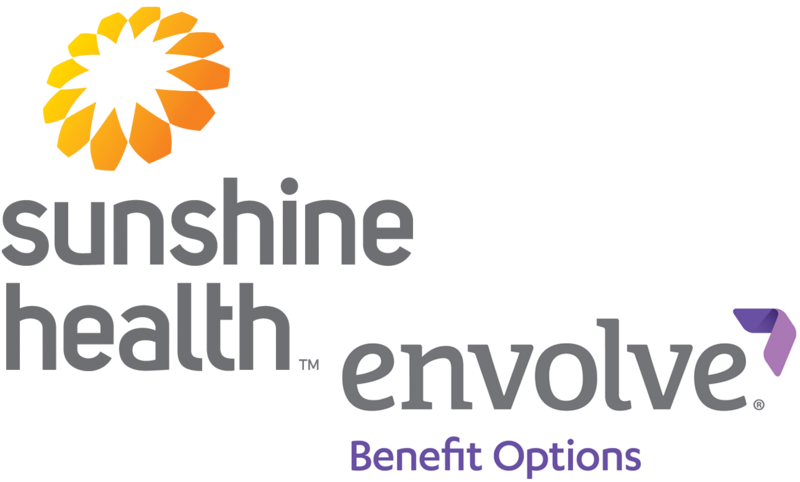 We offer an excellent benefits program which includes medical, dental and vision benefits, employer-paid life insurance and long-term disability, Paid Time Off, 401(k) and FTCA liability coverage for our providers. NHSC loan repayment may be available to qualified candidates. Dentist -The Dentist provides direct clinical dental services with a commitment to high-quality dental care in a community health setting. Must be proficient at navigating EMRs, and be willing to contract with Medicaid and commercial health plans Florida state dental license required. Suncoast Community Health Centers Inc. is a non-profit organization that operates a Federally Qualified Health Center (FQHC). We offer an excellent benefits package that includes: medical, vision, and dental insurance. PTO, paid holidays, vacation, CME’s, 403(b), 401A Pension Plan, malpractice coverage under the Federal Tort Claims Act. Additionally, our sites are approved for the National Health Service Corp’s Loan Repayment Program and may be available to qualified candidates. We are accredited by the Association for Accreditation of Ambulatory Care (AAAHC) as a Community Health Care Center in all 10 locations as well as being accredited by AAAHC as a Medical Patient Centered Medical Home. Physician- Internal Medicine/Family Practice - Ruskin, FL. Physician- Internal Medicine/ Family Practice – Plant City, FL. Pediatric Dentist- Plant City, FL. Osceola Community Health Services (OCHS) is currently seeking to fill multiple positions at our FQHCs. OCHS operates five Community Health Centers throughout Osceola County that are accredited by The Joint Commission for Ambulatory Care and Primary Care Medical Home. We offer great benefits including low-cost health insurance; life and disability insurance; paid holidays and leave time. Please forward your resume or CV to Osceola Community Health Services at: [email protected]; or fax to (407) 932-5140, attention HR. Genesis is a Florida 501(c)3 non-profit organization created to promote and provide health care to people of all economic levels, with special sensitivity to the needs of economically disadvantaged people of diverse cultural backgrounds in and around Palm Beach County. Genesis Community Health is an access point of care for patients who traditionally do not have adequate access to the healthcare system. Treasure Coast Community Health (TCCH) has provided primary health care in Indian River County (IRC), Florida for over 24 years. As a non-profit Federally Qualified Health Center, our focus is meeting the medical, dental and mental health needs of the insured, non-insured and under-insured people in our community and to provide accessible, cost-effective, high quality, comprehensive healthcare throughout Indian River County, Florida. We have six locations with more than 64 practitioners who provide integrative care to every member of the community. Our services include: Family Medicine, Pediatrics, GYN, Behavioral Health, Radiology, Pharmacy, Occupational Medicine, Family Dental, Preventative and Restorative Dental and Oral Surgery. As the winner of the Best Places to Work designation for the past two years, we offer a generous benefits package that includes: medical, vision, and dental insurance; company paid Life insurance as well as short term and long term disability; we offer PTO, paid holidays, vacation, CME’s, a matching 403(b) plan, and malpractice coverage under the Federal Tort Claims Act. Additionally, our sites are approved for the National Health Service Corp’s Loan Repayment Program and may be available to qualified candidates. Come and see why we were voted Best Places to Work!! Healthcare Network of Southwest Florida (HCN) is a non-profit FQHC located in Collier County on the beautiful Gulf Coast of Florida. Founded in 1977 by community leaders in Immokalee HCN has been providing primary care to underserved patients for over 40 years. We provide comprehensive, integrated primary care to more than 50,000 patients at 21 clinic sites throughout the county with more than 75 practitioners. Services include pediatrics, family and internal medicine, an HIV/AIDS treatment program, geriatrics, women’s care, dental, and integrated behavioral health. We are accredited by the Association for Accreditation of Ambulatory Care (AAAHC) and are certified by AAAHC as a medical and dental home. We offer an excellent benefits package that includes: medical, vision, and dental insurance. PTO, paid holidays, vacation, CME’s, 403(b), 401A Pension Plan, malpractice coverage under the Federal Tort Claims Act. Additionally, our sites are approved for the National Health Service Corp’s Loan Repayment Program and may be available to qualified candidates. Community Health Center- Miami, FL. Regularly advises the President/CEO of key issues regarding financial reporting, planning, practices, financial stability and liquidity, and financial growth. Participates in long-range financial/operational planning and business development. Produces timely financial reports (balance sheet, income statement, cash flow) as requested by the Board of Directors and CEO. Directs and supervises workflow of the Controller and other accounting personnel. Ensures proper accounting according to GAAP including strong internal controls. Produces federal, state, local reports as required. Develops annual budget for presentation to Board of Directors. Implements financial and purchasing policies. Graduate of an accredited college or university with at least a Master’s degree in Accounting, Finance, Business Administration or related field, or equivalent combination of education and experience. Minimum of 5 years work experience in a financial executive role advising a Board of Directors. Current designation of Certified Public Accountant is required. Previous senior management experience in healthcare setting, 10 years preferred. Superior knowledge of GAAP finance and accounting principles, procedures, and practices in a non-profit and for-profit healthcare setting especially with insurance billing and collections. Advanced proficiency of accounting, database, Internet software, spreadsheet, email, word processing software, and other programs relevant to the general ledger, accounts payables & receivables (patient accounts), and payroll systems. Exceptional planning, time management, problem-solving and logical troubleshooting skills. Position may require long weekday and weekend hours. May include some overnight travel. Community Health of South Florida is a nonprofit health care organization providing affordable quality primary and behavioral health care services to the residents of rapidly growing South Florida. CHI operates 11 state-of-the-art primary care centers and 31 school-based programs. All centers offer quality comprehensive primary and behavioral health care services. Our physicians are board certified or board eligible. Additionally, CHI is accredited by the Joint Commission and is accredited as a Level 3 Patient-Centered Medical Home by the National Committee for Quality Assurance (NCQA). CHI offers a “one-stop-shop” model where the organization and delivery of quality services are seamless, affordable, accessible, and culturally sensitive health care. Click the link for further information and qualifications.